And just like that it's the second gift guide, stocking fillers for him. 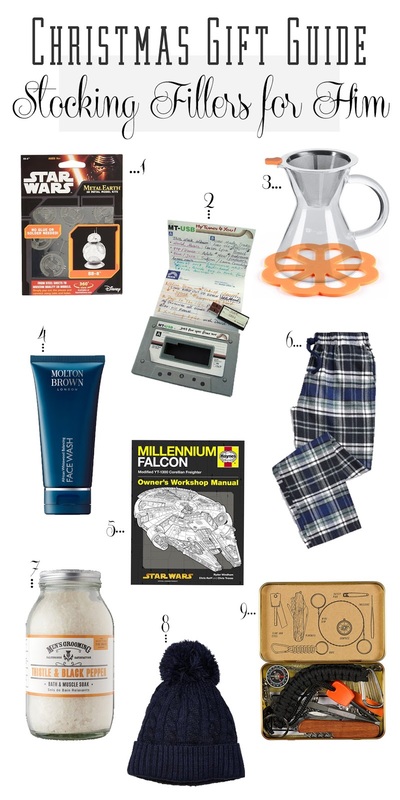 I think any of these would make amazing little gifts for any stocking. Paul has one of the Metal Models, he has the Millennium Falcon and while I think it was the trickiest things he's ever had to build, he loved it they look very impressive when they're finished. And for anyone you know who loves a soak in the bath, the Thistle and Black Pepper bath soak is amazing! They whole range smells incredible, so if bath salts aren't your thing then you could try the aftershave or body wash.